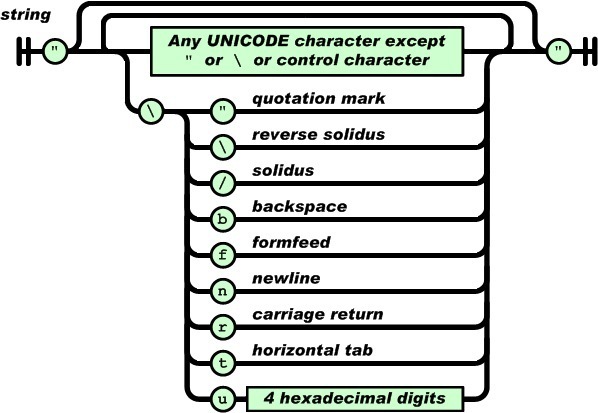 A string is a sequence of zero or more Unicode characters, wrapped in double quotes, using backslash escapes. A character is represented as a single character string. A string is very much like a C or Java string.